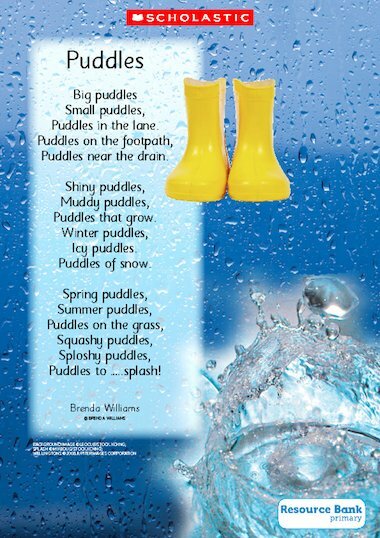 Use this poem, by Brenda Williams, for literacy work with a weather theme. As a bonus, you can download a sound file of the poem being read, as well as splashing sound effects. one day i saw a pig!!! it had a pink spot on it! !!! it was so cool!! !